Granted, you probably got a thousand olive oil pourers to choose from but none of them is as pretty as this Italian Alessi Design from NOVA68. 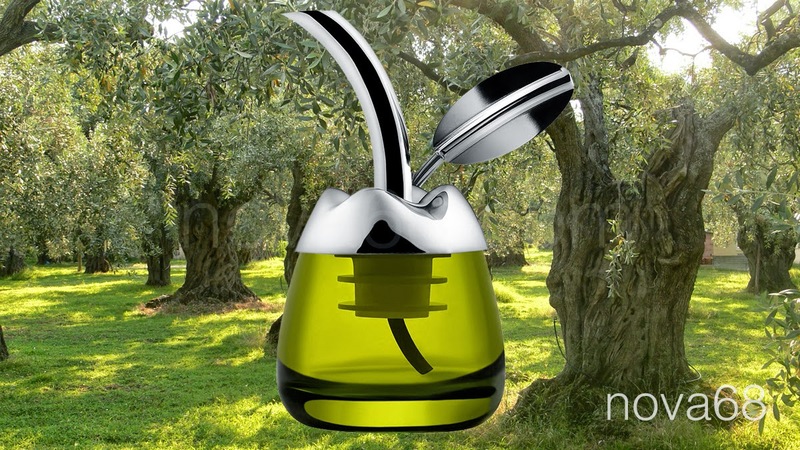 Fior d'Olio Olive Oil Pourer by Alessi. "Fior d'olio" (from the Italian Oil Flower) is a cap with a pouring spout that fits into the neck of the bottle, allowing you to pour only as much as you need on your food (chefs also talk about "drizzling olive oil"), while controlling the oxidation process that begins as soon as the bottle is opened. The small glass container that houses it has a second function: to assist professional tasters to sample the oil according to the time-honored tradition. Designed in compliance with the regulations, it is large and tapers down towards the mouth of the glass so that the aroma of the oil wafts towards the taster's nose. The glass is colored so that the color of the contents does not influence the taster and is strongly suggestive of first press oil. Functional, simple and decorative for the table top or gift giving.